Psoriasis is a condition that creates painful and discomforting raised crusty patches of skin that assume a reddish coloration. The skin dries up and cracks, creating blisters and painful sores. Psoriasis develops when the immune system becomes dysfunctional and lymphocytes attack healthy cells and cause skin cells to multiply uncontrollably. In some people, psoriasis leads to a more painful condition called psoriatic arthritis. The ligaments in joints swell and become stiff, virtually immobilizing the patient. Psoriatic arthritis can affect any part of the body and symptoms include thickening of the fingertips and inflammation of the spine. The condition ranges from mild and bearable to severe and painful, alternating between flare-ups and remission. 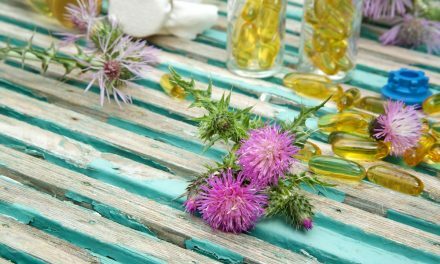 Unfortunately, there is no cure for psoriasis or psoriatic arthritis which partially or completely disables the individual. The affected person develops mild to severe painful swelling in the extremities of fingers and toes. Swelling and immobility may lead to deformity in hands and feet. 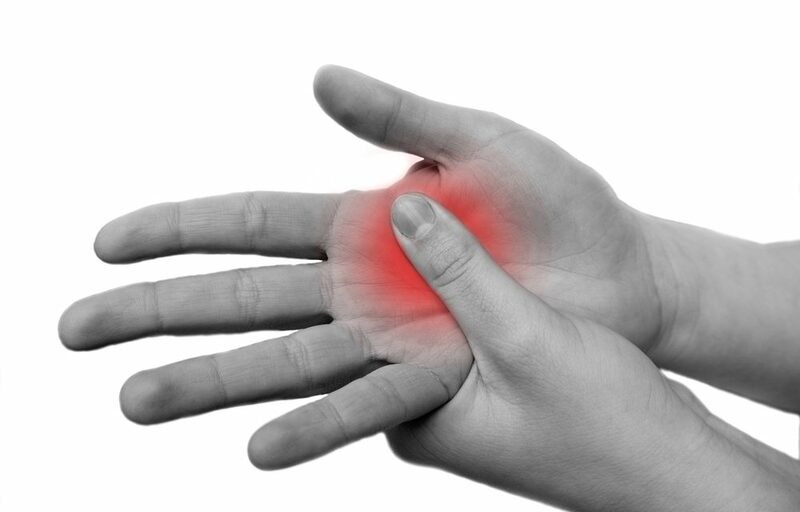 Because of the swelling of ligaments that connect bones and tissue in hands and feet, any attempt to move the joints is met with extreme pain. Pain appears in the heels (Achilles tendinitis) and the soles of the feet (Plantar fasciitis). Movement becomes painful and challenging. Inflammation immobilizes the vertebral joints in the spine (spondylitis) and the joints between the spine and the pelvis (sacroiliitis). Pain in the lower back along with painful heels and soles disables the patient. An abnormality in the body’s immune system causes white blood cells (lymphocytes) to attack and destroy healthy cells. This leads to tissue inflammation. Inflamed ligaments cause joints to become painful, stiff, and immovable. Why the immune system goes haywire is not clearly understood. It is believed that inherited genetic markers could play a role in making people prone to psoriasis. People already suffering from psoriasis carry the highest risk of developing psoriatic arthritis. Children fall in the high-risk category if a parent or a close relative suffered from psoriatic arthritis. The adult population aged between 30 and 50 appears to be prone to psoriatic arthritis. Arthritis mutilans, a severe form of psoriatic arthritis, disintegrates the smaller bones in the fingers and toes leading to permanent deformity and disability. Psoriatic arthritis patients are at high risk of developing eye complications such as conjunctivitis and uveitis leading to reddish eyes, blurring vision, and chronic pain. Such people will be more prone to cardiac disease. Stress triggers chemical reactions and hormonal changes that spread to all parts of the body. Heartbeat rises, breathing becomes rapid, and muscles tighten up. The adrenalin rush worsens inflammatory conditions in tissues. The stress factor, the adrenalin rush, and the inflammatory response feed on each other creating a revolving cycle of misery. This is why it is important for a psoriasis patient to reduce stress and remain emotionally stable to get relief from pain. There’s no smoke without fire; in the same way, there’s no stress without a trigger. It could be a person, a thing, or an event. If you watch the body’s stress response, you’ll notice that breathing becomes rougher, palms of hands become sweaty, neck and shoulder muscles tense up, and there is a feeling of being tired and overwhelmed. Once you’ve identified the trigger, minimize contact with it. If that doesn’t work, try opening up to a spouse, relative, or family friend. You gain a third person perspective that may pave the way to a solution. Involve yourself in mind and body relaxation techniques such as meditation, controlled breathing, Yoga or Taichi. It helps to remain active to take your mind off the problem and get the body to heal itself. Swelling, tenderness, and accompanying pain spread through inflammation. NSAIDs like ibuprofen and naproxen sodium are available in varying prescription strengths that ease swelling and combat pain. These are a special category of drugs that modify the body’s inflammatory response by slowing down tissue destruction. Hydroxychloroquine (Plaquenil), and leflunomide (Arava) are two drugs that are commonly used. DMARDs like apremilast (Otezla) block the action of a specific enzyme called PDE4 that induces inflammation. A biological DMARD intercepts and blocks the signaling system between lymphocytes, reducing their destructive power. Tumor necrosis factor-alpha (TNF-alpha) inhibitors such as etanercept (Enbrel), adalimumab (Humira) are examples of biological DMARDs. Sometimes steroids may be injected directly into the affected joints to reduce inflammation and pain when symptoms are severe. Advancements in science have made it possible to replace badly damaged joints with metallic or plastic parts that improve flexibility and are unaffected by immune reactions. Bringing one’s weight as close as possible to the ideal body mass index eases the load on limbs and reduces the wear and tear of joints. Diet can be changed to include more portions of lean meat, and whole grains along with plenty of vegetables and fruits. This provides essential vitamins and minerals and rebuilds good protein to compensate for tissue damage. Physiotherapy can give relief from stiffness and pain. Other patients can make do with light exercises and slow walking to regain limb mobility. Patients will need assistive devices and arm and leg support to grab, move, or lift heavier objects without straining the limbs. Redesign the home to make it friendlier for moving motorable wheelchairs. Installation of handrails in bathrooms and raising the height of toilet seats will ease the discomfort of inflamed and slow-moving joints. For the psoriatic arthritis patient, getting more than the regular seven hours of sleep is a must for better healing. Much depends on maintaining a regular sleep schedule that is followed even on weekends. Shut down electronic appliances at least an hour before going to bed to avoid sleep disturbances. Keep an uncluttered and neat ambiance in the bedroom, wear eye shades and use earplugs to keep out the noise. Consider using a separate bedroom for a more peaceful sleep. Develop a soothing quieting routine before retiring for the day. Pamper yourself with a relaxing medicated bath. Apply soothing moisturizers if permitted by the doctor. Wear airy cotton gowns that have a softer touch. Meditating and doing a spot of relaxing yoga stretches are very beneficial to the healing process. Which Doctor Is Best at Diagnosing Psoriatic Arthritis? 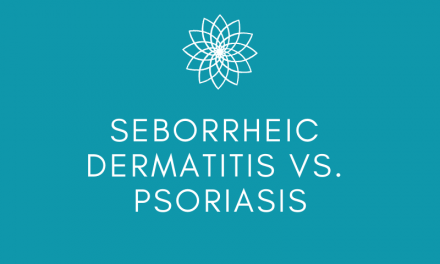 Normally, a dermatologist would be the first stop for diagnosis and treatment of psoriasis which is the skin condition that often triggers psoriatic arthritis. But arthritis falls within the area of expertise of the rheumatologist. He would be more competent in assessing the extent of damage suffered by joints, and he will customize a treatment plan tailored to individual patients. Does Psoriatic Arthritis Attack in Different Ways? In asymmetric psoriatic arthritis, the symptoms are milder and affect joints in one side of the body. In distal psoriatic arthritis, the effect is more pronounced in body extremities – fingers and toes. In spondylitis, the neck and spinal column are affected. Arthritis mutilans is the most dreaded form of psoriasis, causing deformities in the fingers and toes. Stress and anxiety attacks are very bad for patients suffering from psoriatic arthritis. Self-healing therapies like meditation and yoga are effective in speeding up recovery. Try to avoid smoking and alcohol as both are known to trigger and worsen psoriasis symptoms. Finally, reorient the way you perform your daily routine to cause minimal strain to limbs and extremities. Fresh air, sunlight, plenty of activity and proper sleep patterns are the way to go to overcome this painfully depressing ailment. 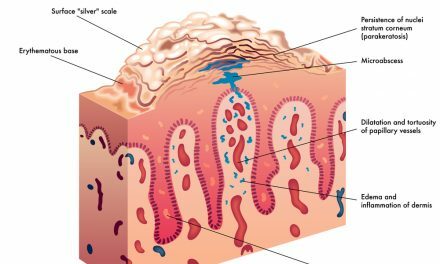 PreviousAnatomy of an Autoimmune Disease: What is Inverse Psoriasis?